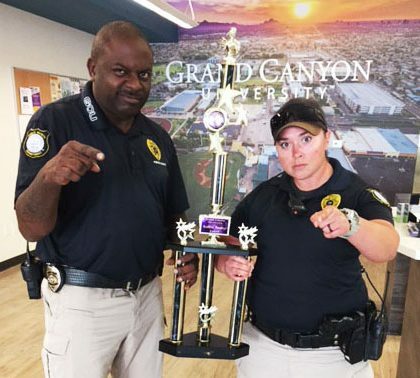 GCU News Bureau Grand Canyon University employees took selfies with the “Golden Turkey Trophy” to enter a drawing for a $100 Fry’s gift card. It was part of the annual Battle of the Turkeys competition, which raises money to buy birds for Salvation Army. 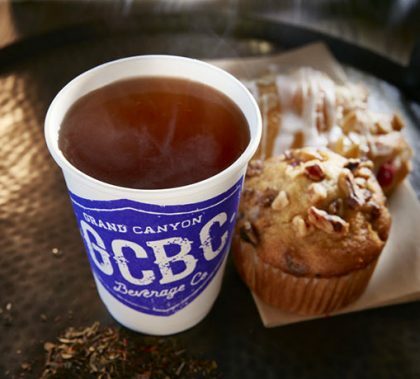 A second Grand Canyon Beverage Company location, in the Roadrunner Apartments, is ready to open Monday. It will feature the same beverages and baked goods as the main location on the second floor of the Student Union. Mission Cookies are available for purchase at The Grid, Chaparral and Juniper on Grand Canyon University’s campus, and 100 percent of the proceeds go back to help Phoenix Rescue Mission clients as they transition from dire circumstances toward vocational and re-career training. The teamwork of GCU and Habitat for Humanity Central Arizona on the Canyon Corridor Project earned a spot as a Merit Finalist in the Mutual of America Community Award competition. 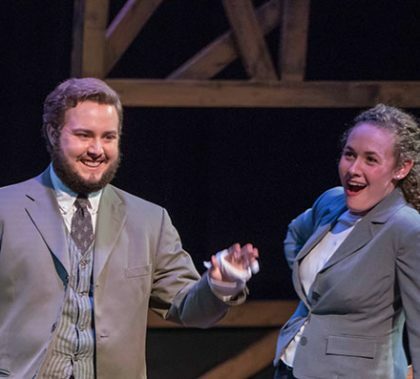 Ethtington Theatre’s production of “Our Town” opens tonight. Set in Grovers Corners, N.H., it’s a place like most others. People are born, they live, they fall in love, they marry and they die. That such a simple story is so universal is the very basis of the shattering tragedy in this 1938 Pulitzer Prize winning drama by playwright Thornton Wilder. 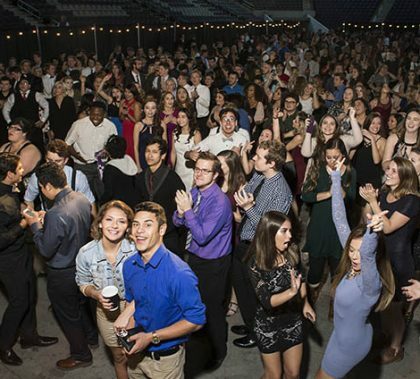 This week’s edition of Antelope Intros features a senior graphic designer who likes to follow the sound of music and a student services counselor who has written a 365-day devotional book. Storage Together was named the overall champion and “Best Solution” at this week’s Smart City App Hack international finals competition in Barcelona. 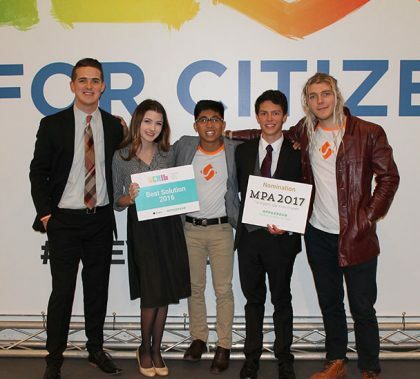 Luke Amargo and current students Josh McGuire, Jedidiah Woods and Braeden Scheer took top honors among 10 competing business ideas from around the world, as determined by a four-person panel of judges following a three-minute presentation and Q&A session.